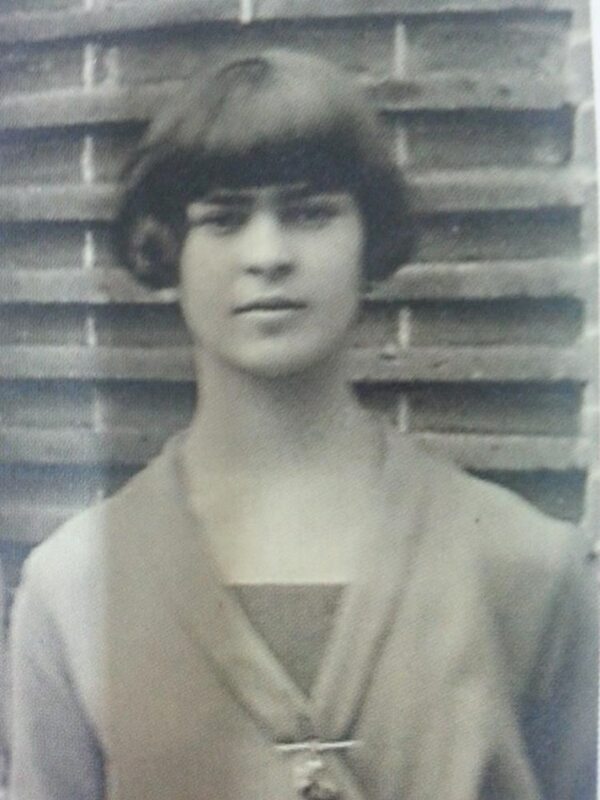 The smoldering activist-actress-director as a gawky, open-faced sophomore, her hair moussed to the very limits of her modeling school test shots? The rising political star, pimple-faced and center-parted, posing with the other three members of his high school’s Dungeons and Dragons Club? 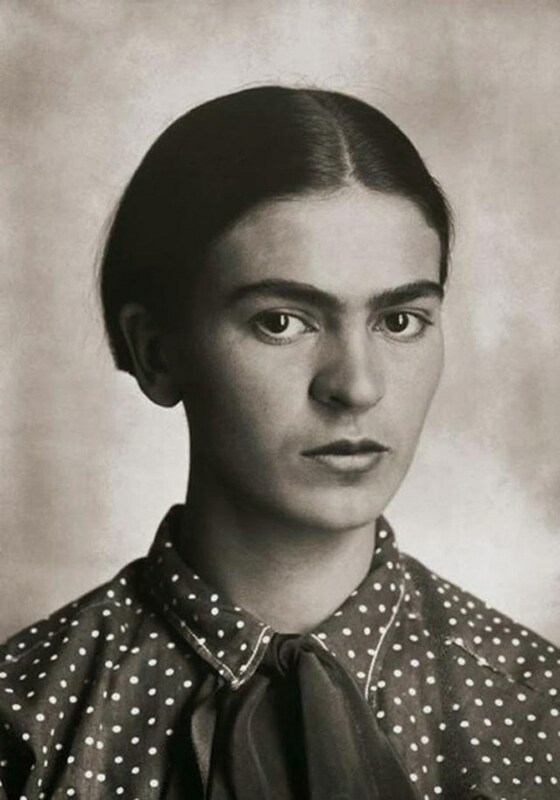 What about evergreen art star Frida Kahlo? 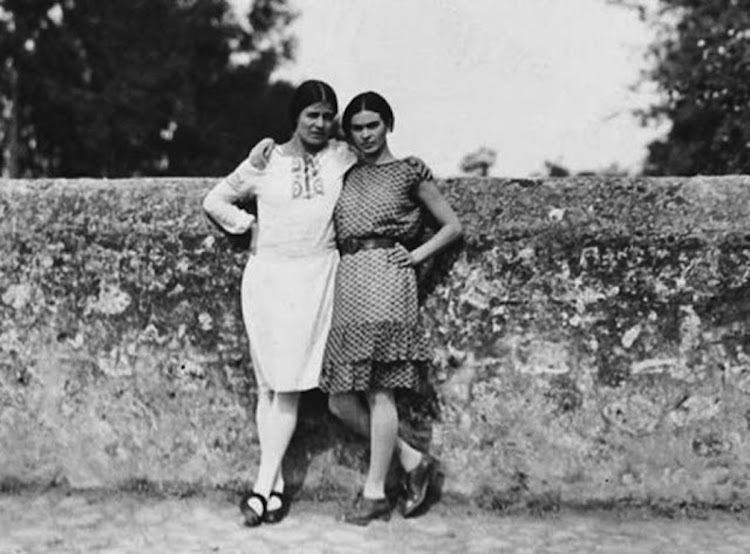 Though her husband, muralist Diego Rivera, was the one who urged her to adopt the traditional Tehuana dress of their native Mexico as a uniform of sorts, Frida engineered her image by placing herself center stage in dozens of allegorical, intimate self-portraits. Much of her work alludes to the horrific accident she suffered at 18, and the tortuous treatments and surgeries she underwent as a result for the rest of her life. It shaped the way she saw herself, and, in turn, the way we see her. Her enduring appeal is such that even those who aren’t overly familiar with her work feel they have a pretty good handle on her, thanks to her ubiquity on totebags, apparel, and various gift related items—even Frida Kahlo action figures and paper dolls. We know this lady, right? What a pleasure to get to know her better. 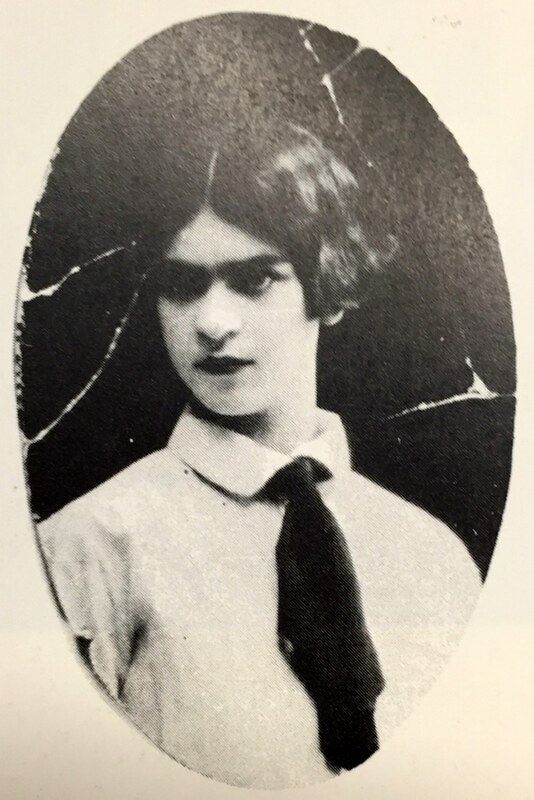 A collection of photos that has recently come to light introduces us to a younger, more candid Frida—both before and after the accident, when she returned to her studies at National Preparatory School. 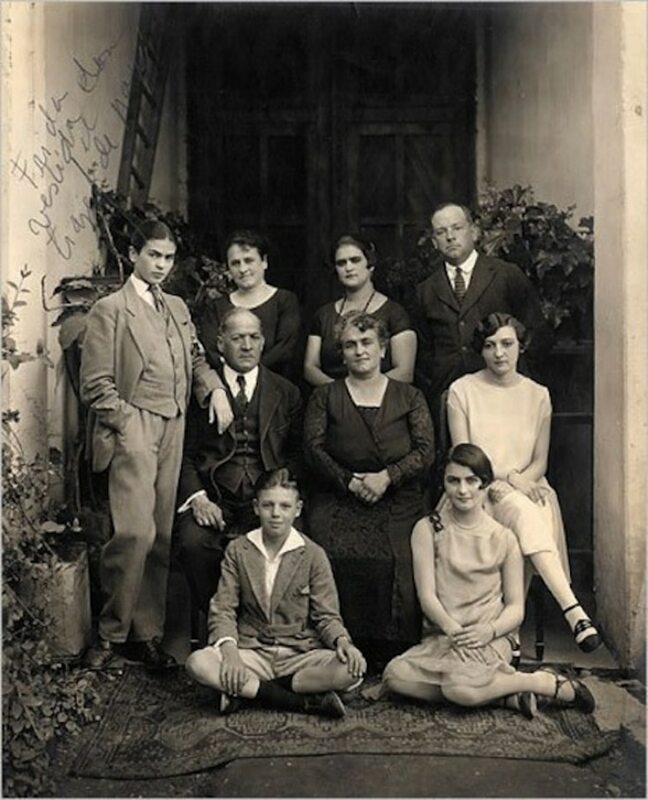 Taken together with the portraits made by her photographer father, they show early evidence of the forceful personality that would dominate and define her public image, Mary Jane-style pumps with socks, a middy blouse, and a variety of blunt bobs aside. Some of the later photos in this batch speak to her increasing interest in distinguishing herself from her female peers. 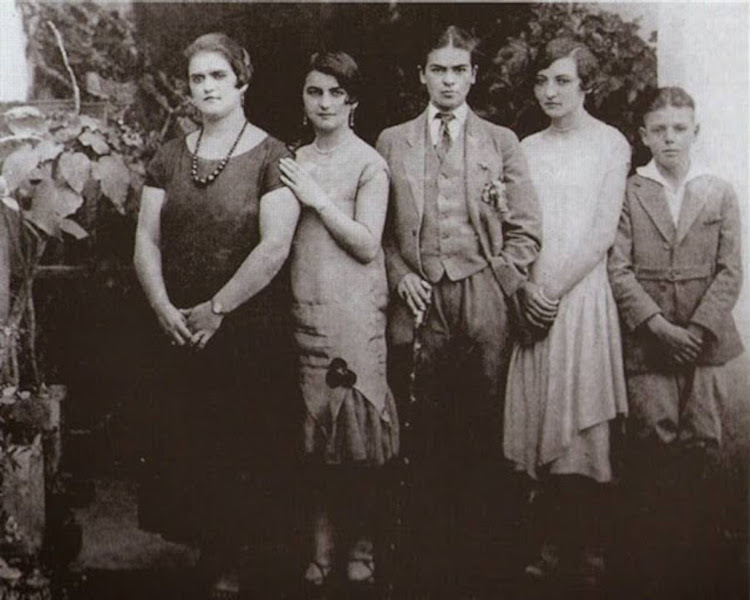 Her experiments in cross dressing ensured she would stand out in every group photo, a dashing figure in suit, tie, and slicked back hair. 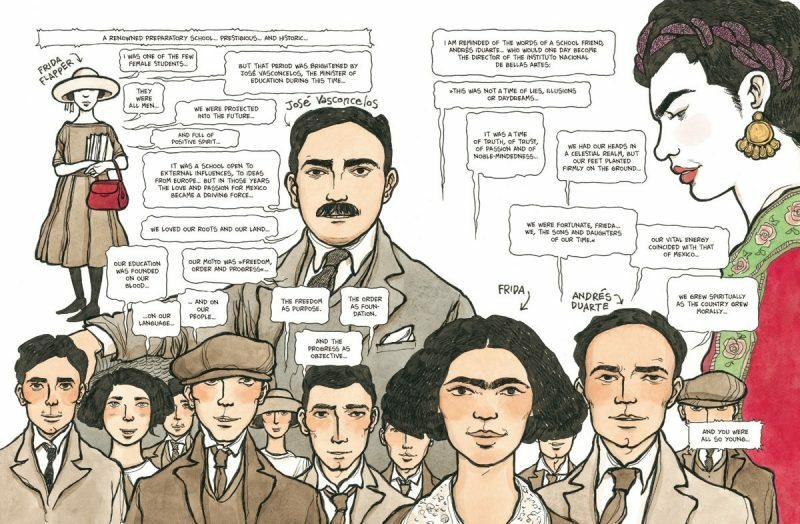 Though this period of her life is less a matter of public record, it gets its due in the 2017 graphic novel Frida: The Story of Her Life by Vanna Vinci. 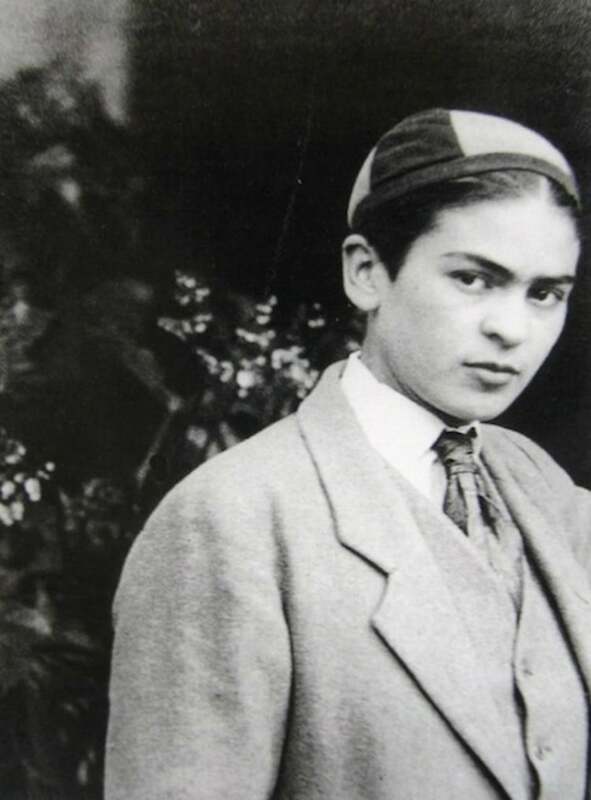 Some of the others in these photos, including her sisters and her first boyfriend, Alejandro Gómez Arias, appear as characters, as does Death in the form of printmaker José Guadalupe Posada’s La Calavera Catrina—perhaps the only image formidable enough to hold its own against the fabulous Frida.